The mission of St. Columba is to provide a natural sanctuary and opportunities for growth through camps, conferences, retreats, and events. St. Columba is a 501(c)3 camp and retreat center funded by individuals and churches and operates as an outreach ministry of the Episcopal Diocese of West Tennessee. Our private 145-acre campus features old-growth forests, fields, creeks and wildlife. The center annually serves nearly 200 nonprofit, church, school and family groups and over 700 campers through Mud Camp & Camp Able. 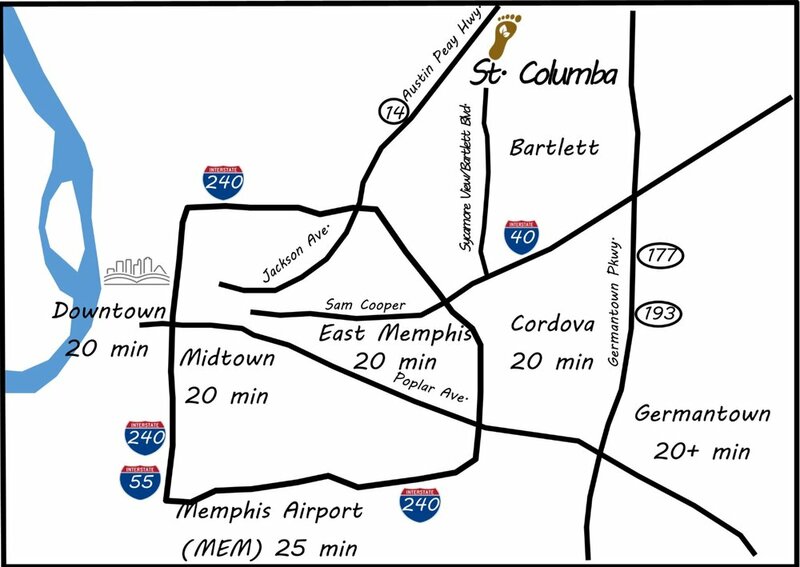 St. Columba is located in Memphis, Tennessee, just seven miles north of the Sycamore View exit on I-40 (exit 12).